This will be a good opportunity to make sure your water heater is working properly so that you don’t run the risk of having to take cold showers. First, make sure the temperature setting is correct — most experts recommend it stay no higher than 120 degrees Fahrenheit. Not only will this reduce the amount of energy the appliance uses, it will also reduce the chances that scalding will occur. One of the biggest enemies of a water heater is corrosion, which will not only make the unit inefficient, but also reduce its lifespan. Drain a few gallons from the tank to flush out the sediment that leads to corrosion. If your unit is 15 years or older, consider having it replaced. A newer model will be much more efficient, helping you save money on your energy bill each month. Take a close look at the supply hoses that run to your icemaker, washing machine and dishwasher. If you see any signs of leaks or bulges, have them replaced as soon as you can. This is especially important if the hoses are more than 10 years old. Make sure to use stainless steel replacement hoses, because they are more durable and will pose less of a risk of bursting. In addition, don’t forget to clean the lint trap of your washing machine, which is typically located along the internal recess of the unit and helps keep lint from blocking the drain. You may even want to consider having a plumber install a wire trap filter at the end of the drain hose to help improve drainage. If you have a home with a basement, you more than likely have a sump pump installed. Check the pump so that you know it will be ready to do its job if flooding should occur. Pour a few buckets of water into the sump pit to make sure the pump will activate. It should turn on automatically, discharge the water and then shut off. Consider installing a flood alarm if you haven’t already, not only in the basement but your bathrooms as well. Speaking of the bathroom, look at your toilet and check for any kinds of leaks. You can easily spot an issue by adding some food coloring to the tank. If you see the water in your bowl changing colors after about 20 or 30 minutes, that means there is a problem with one of the components in the tank. Most people can replace these components on their own, but call a plumber if you’re not comfortable trying to perform this type of job. Pay attention to the valves that supply water to your sinks and toilets as well. Over time, mineral deposits, rust, caulk and other materials can clog those valves and reduce the efficiency of your plumbing. Check to make sure you can turn the valves on and off easily so they work properly. Just like the bathroom, you will also want to do a once-over of your kitchen plumbing as well. In addition to appliances, look at all fixtures to make sure there are no drips or leaks. Look at your faucet’s aerator (the screen located where the water comes out) and check for mineral deposits. Unscrew the aerator and soak it in vinegar overnight to clear any accumulation of minerals. Don’t ignore areas surrounding your home while making your plumbing checks. For instance, make sure your gutters, downspouts and yard drains are all clean and clear of debris such as leaves, grass clippings and more. Look at all your vent pipes and make sure there are no bird nests. Also, check all of your outdoor faucets — as well as your hose bibs — to confirm water can freely flow through them. If you have a leak in an outdoor faucet, or you notice any sort of leaking inside the home when you turn that faucet on, that could be a sign a winter freeze cracked the pipe and it will need to be replaced by a professional. Consider having a plumber you trust perform a walk-through to make sure everything is working properly and efficiently; that way you can help to ensure your home will remain comfortable and functional all season. Patricia Bonacorda is the President of Spartan Plumbing a plumbing and HVAC Company. From 1964 to now, they assisted apartment and multi-family homes since opening 1964. 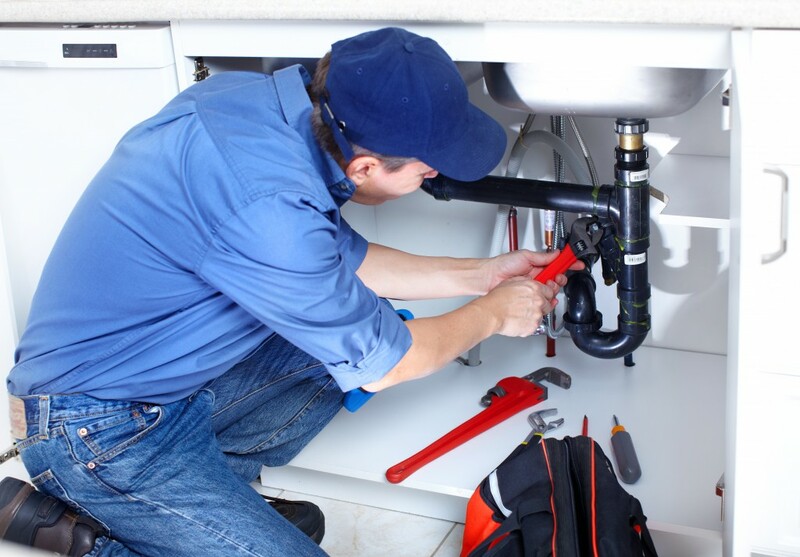 Spartan Plumbing is a licensed, bonded and insured business that has provided professional plumbing, heating and air conditioning services throughout the DC Region. You do need to make sure the outside of your home get’s some plumbing maintenance done too. If you don’t, then you could have many different problems on your hand. Like if a pipe burst or something, then you have a flooded swampy yard, and possibly a flooded basement. One of the biggest things people can do to avoid these disasters is just set up annual inspections with their local plumber. Gets repairs done and keeps new problems from happening. Prevention is the key. I am now a firm believer in inspecting my appliance hoses etc… Especially the ice maker hoses! Checking my bathroom and kitchen fixtures for small leaks before they become Big problems is something we do every Spring. Great information. Thank You! Always isolate! that’s the key to maintaining a system that’s easy to switch in and out. Ball valves are the single most important resource plumbers use in saving time and preventing disastrous leaks. I know some states require them as well. Also a good resource for water heater replacement is checking with your local gas company to see if rebates are available. It’s SO important to take the right steps towards preventing bigger problems from occurring. I tell my customers this all the time, yet they never seem to listen. Thanks for the post! needs to be aware of what’s going on in and around there home. A lot of the time repairs can be avoided if your educated on what to look for. Great post! The section on water heaters is great, all homeowners should take this into consideration. We get hot water heater repair calls a lot and is always due to a lack of maintenance. Flushing out your water heater annually will increase its performance and life span. Thanks for posting! Great job in pointing out the importance of checking and, if necessary, replacing supply hoses. So often we associate plumbing with the traditional items: toilet, sink, shower or bath; but as you so aptly stated the unseen plumbing like dish washers, washing machines, ice machines and the link are all in equal need of maintenance. Fantastic article showing some incredible plumbing tips. We fix a lot of water systems after they have been installed for 15 years. Thanks for sharing quality information. Great tips . thanks. The best thing people can do to avoid these disasters is just set up annual inspections with their local plumber. Gets repairs done and keeps new problems from happening. What a good read. Really like how you touched on the water heater, many people forget that an old tank doesn’t perform the same as new. 12 to 15 years is a decent time frame for a replacement. Plumbers and homeowners are leaning towards tankless water heaters since the savings in energy cost are quite attractive. Great post. As I usually tell my customers, it’s important to take care of issues before they get out of hand. And as you point out, prevention is one of the best methods. I have to agree with Pratha above though – a great way to make sure your prevention is in order is to get a yearly inspection with a local professional plumber. adding food coloring to the tank to spot leaks is an clever. your right about water heaters having problems with corrosion. Great tips about Water Problems, glad to see this post, this is great informative stuff for everyone, If you don’t mind I want to share this post on my personal blog. No problem – just please source us and hyperlink back to the original post here. Thank you! It is not always a good idea to put harmful chemicals down the drain when trying to unclog it. I still suggest a help from the experts. Very good plumbing advice pieces, thanks for sharing with us! It gives me new insights as a French plumber. Great tips all homeowners should follow.